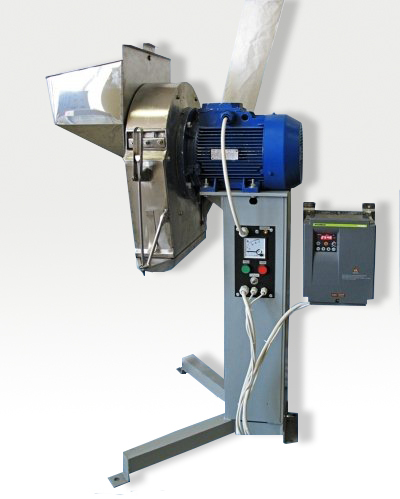 The crusher is used to crush wood chips, food supplements, feed, etc. It can be succesfully used to grind lime and similar products. Crushing takes places by quick rotating blade head in crusher's stainless steel body. The softness of the crusher is determined by the type of the sieve. The minimum mesh value is 0,5 mm.